WordPress provides mobile friendly designs and further enriches user experience. Changing any part of a picture, color, text format in will modification the look & feel of the entire website as per the consumer needs. The layouts we get after PSD to WordPress conversion method are more dynamic and responsive to the user. WordPress is very compatible with all browsers and simply adapts to all screen resolutions from desktop to mobile and enhances user experience. Since WordPress primarily began as a blogging platform, using the platform allows additional benefits such as inbuilt blogging. Out of 60 million WordPress users, professional bloggers use it to share their experience and expertise. Easy integration of the blogs and articles and other kinds of content improves standing with search engines. The addition RSS feed feature to improve outreach of articles and improves the popularity of the website. 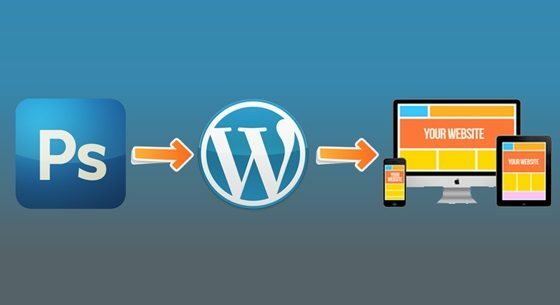 Here are all the major benefits of PSD to WordPress conversion. Switching to WordPress help achieve greater success in online business. Selecting WordPress development services from Genuine WordPress development company can uplift the business status by providing best solutions. Other than the above-provided benefits, there are other hosts of benefits like W3C Validation, cross-browser compatibility etc. As a conclusion, we can state that PSD to WordPress conversion is a highly significant part to extend the possibilities of the web presence.